A group of 34 women, most of whom had never attended school before, just finished the first Kamano-Kafe adult literacy class in the village of Kinkio. For six months, these mamas gathered together, hungry to learn how to read their language, so they in turn could read their recently translated New Testament. 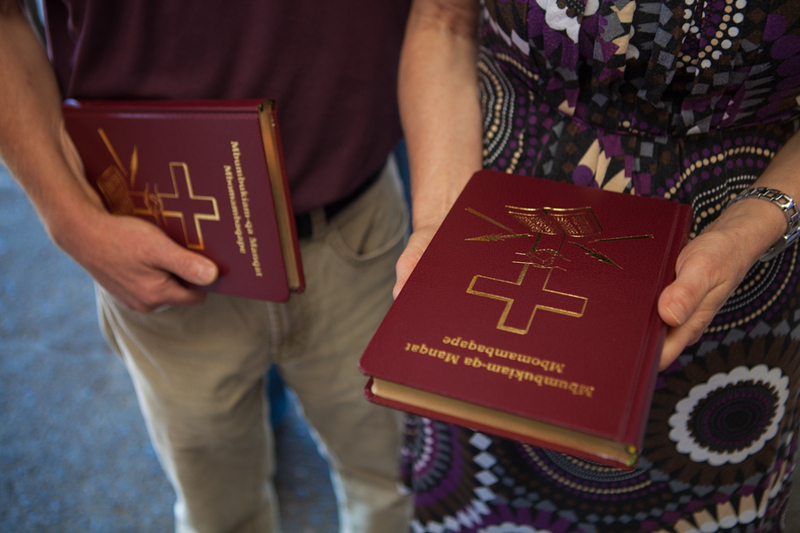 Several members of the Kamano-Kafe translation team were able to attend the graduation, as each of the participants received a copy of the Kamano-Kafe New Testament. The translators were able to share during the graduation about the process of translation, the vital role that the Kamano-Kafe churches had played in support, and about the ongoing work of Old Testament translation. The speakers of the Awa language in Eastern Highlands Province of Papua New Guinea received a revision of the New Testament about 20 years ago. However, very few people could read it, and many unpurchased Bibles sat collecting dust and cobwebs. Many of the village women kept their NT in their bilum, carrying it with them to the garden, looking through it, desperately trying to read it. But no matter how much they tried, they couldn’t read. The Bibles eventually became a symbol of shame for them. They got together and put their books into a house, with plans to burn the house and Bibles, along with their shame, to the ground. But just as they struck the match to light the fire, it began to rain. It rained so hard that they began to think that this was a sign from God—God didn’t want them to burn the books! Later, they expressed their interest in learning to read. This woman came and taught literacy classes using the Awa New Testament, since that was the only literature in Awa. As they learned to read, the people got excited and began to buy the Bibles that had been sitting and collecting dust. When they opened the books, they expected them to be worn and frayed with age, but God had protected them, and the pages were as good as new. Eventually the Bibles sold out because everyone was so excited about getting their own. 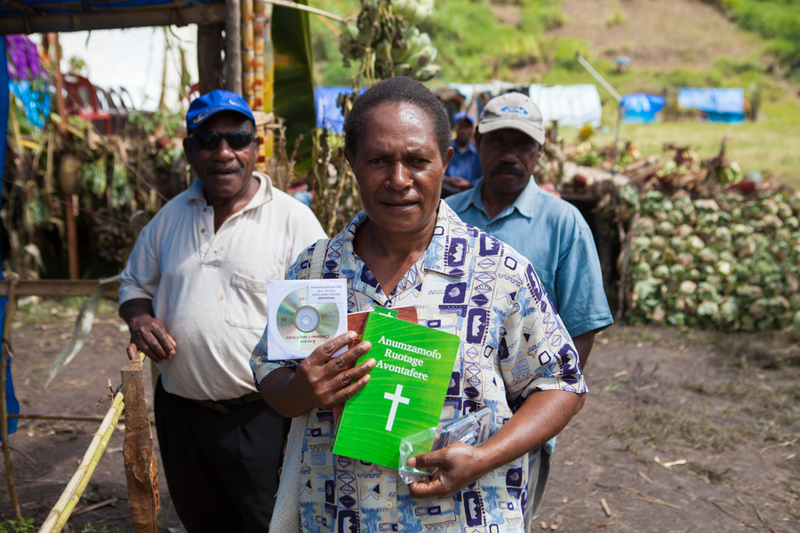 Now everyone in the village has a New Testament in their bilum and knows how to read it. Story told by Rebecca through Sarah Halferty. 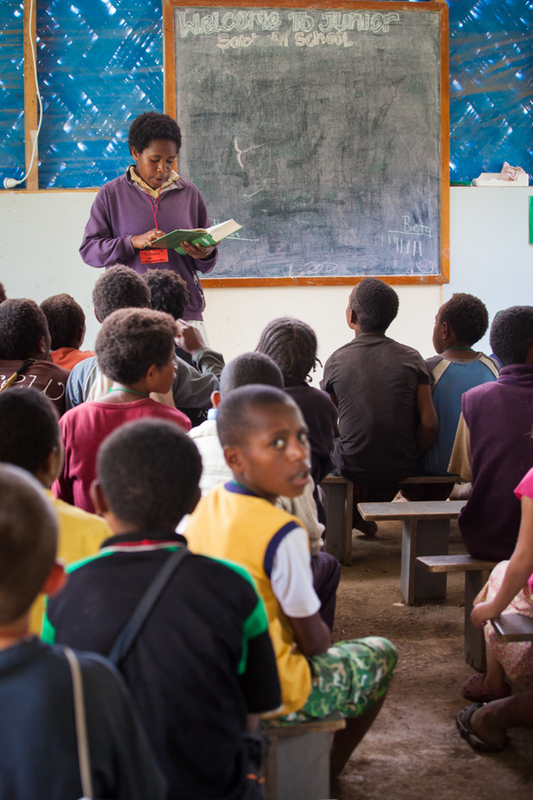 In Sandaun Province, Papua New Guinea, 76 men and women traveled to Arop village from the 10 language groups and 9 church denominations to participate in one of three Sunday School Teacher Training workshops. Participants worked hard, learning how to plan a lesson for children that not only would keep their attention with music, visual aids, games and more, but would communicate important truths from God’s Word. “This workshop was very important in that now I realize the most important thing is to find the truth to teach in the story and focus the lesson on this truth,” one teacher remarked. The lessons were taken from the recently translated Gospel of Luke, and so in addition to preparing lessons, the participants practiced reading the Bible in their own language—some for the very first time. “I was very happy to learn how to read my tok ples [own language] Bible!” one person rejoiced! Another said, “I heard many things in this course that spoke to my heart and this has changed my life”. 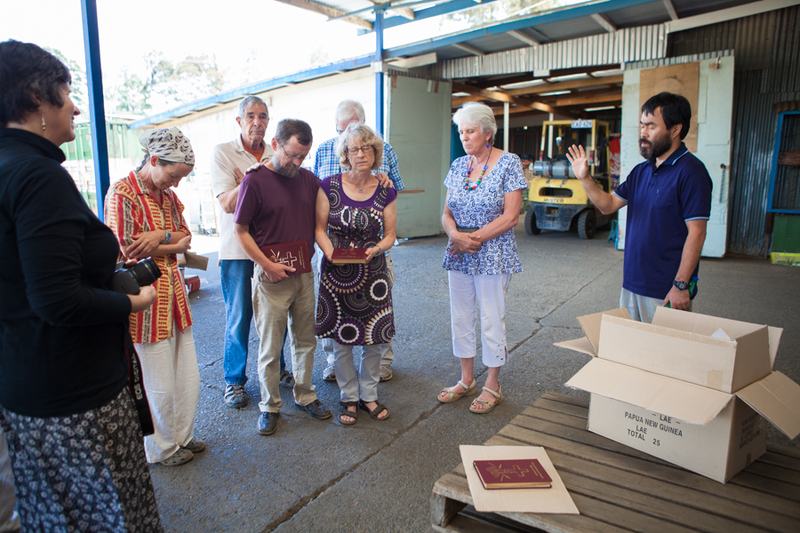 It was an exciting day as the Kuni New Testaments arrived at the shipping dock. Roland and Irene Fumey have been working together with the Kuni people for 25 years to get this book into print. They included many colorful maps and pictures within the Bible that they hope will help with giving the Kuni people an idea of what it was like in Bible times. 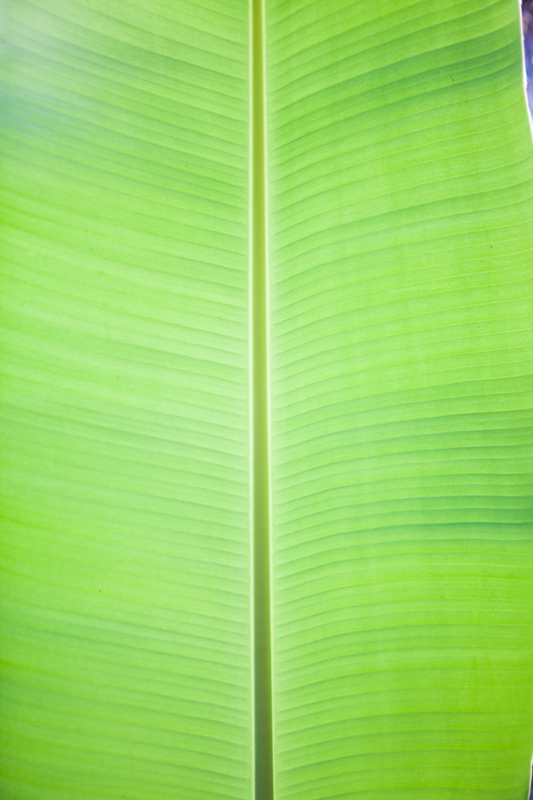 The Kuni language group is located in the Western Province of Papua New Guinea, very close to the Indonesian border. 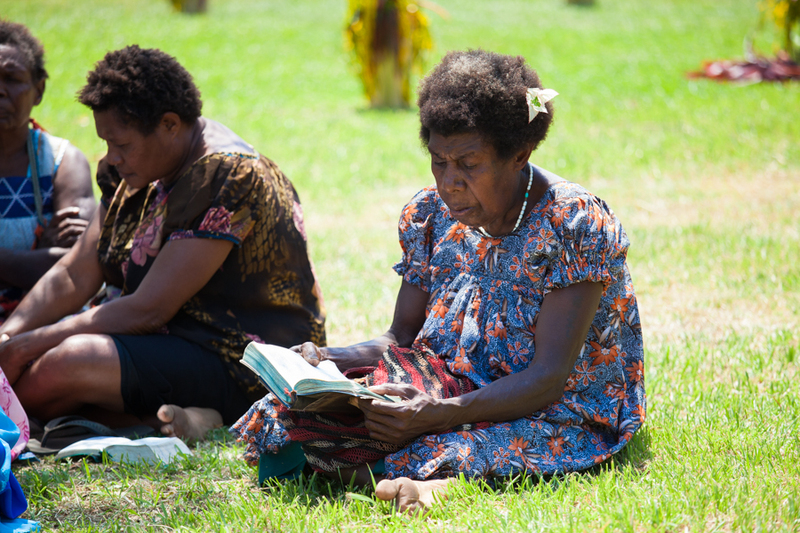 The Bible Dedication is scheduled for January 2016 when the 2,500 speakers of the Kuni language will have the opportunity to buy the New Testament for the first time and read the Word of God in their very own language. 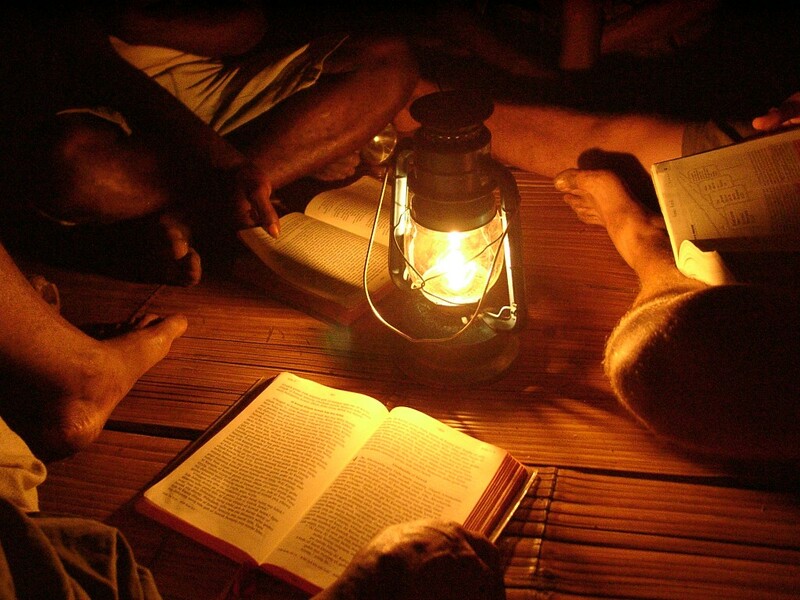 Pray with the Fumeys and the Kuni people as they plan their dedication and work to get God’s Word into the hands of the people. 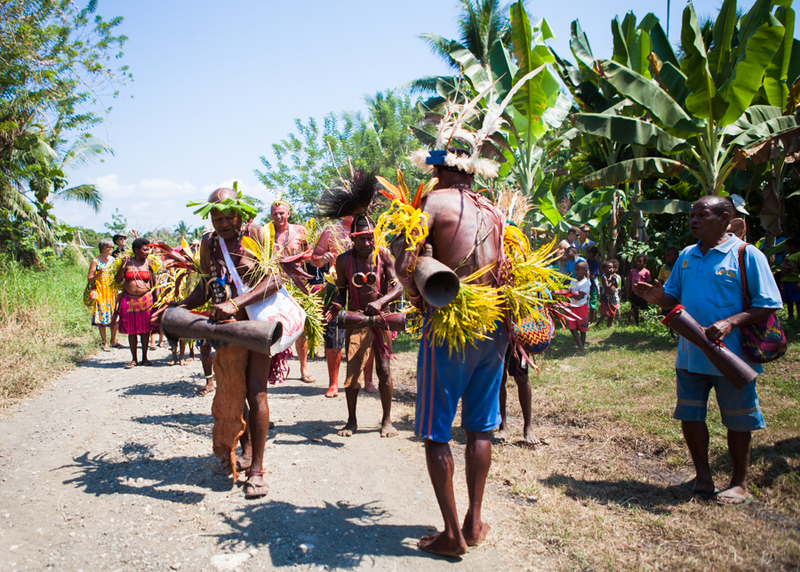 The Anjam language group located close to Madang, Papua New Guinea had its revised Scripture and audio recording dedication on August 14, 2015. The first New Testament was dedicated in 2001 by Robert and Diane Rucker. The couple attended the second dedication with their two daughters, son-in-law and family friend Kris. The Anjam people were so excited to see them that they even built a brand new house painted bright yellow for them to stay in while they attended the dedication.